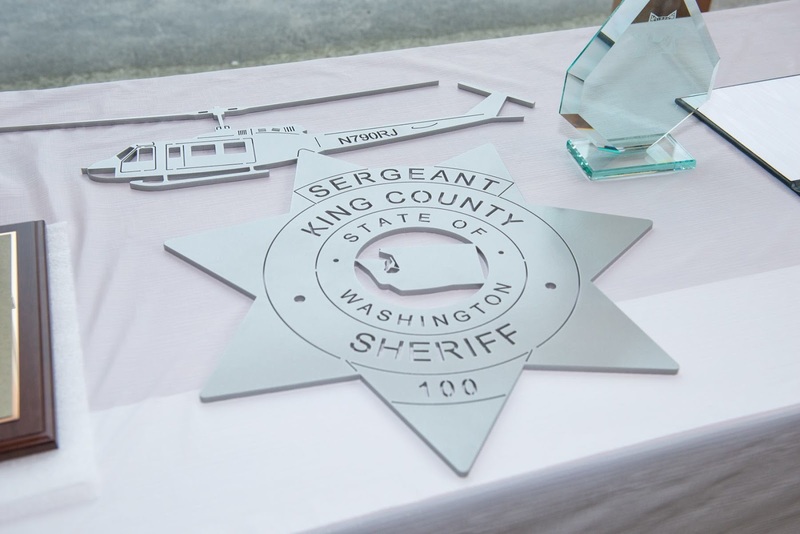 After 39 years of service, Sergeant Reid Johnson has retired from the King County Sheriff’s Office. Reid had a number of assignments with the Sheriff’s Office and finished his career as the supervisor of Air Support and Search and Rescue. Reid helped start the “Shop with a Cop” program about 20 years ago. Last year over 600 less fortunate kids had an opportunity to shop with Police. Congratulations Reid on your well-deserved retirement! You will be missed around the Sheriff’s Office but we wish you all the best!